is the first floor of the building originally constructed as the heart of Corkins Lodge, and features a commercial-style kitchen. when Phil and Frances Corkins ran the place, Frances prepared 3 meals-per-day for their guests. it‘s second in size only to the Log House. It sleeps up to 8. This is the living room. It looks out over the Commons Area. The gameroom is next door. 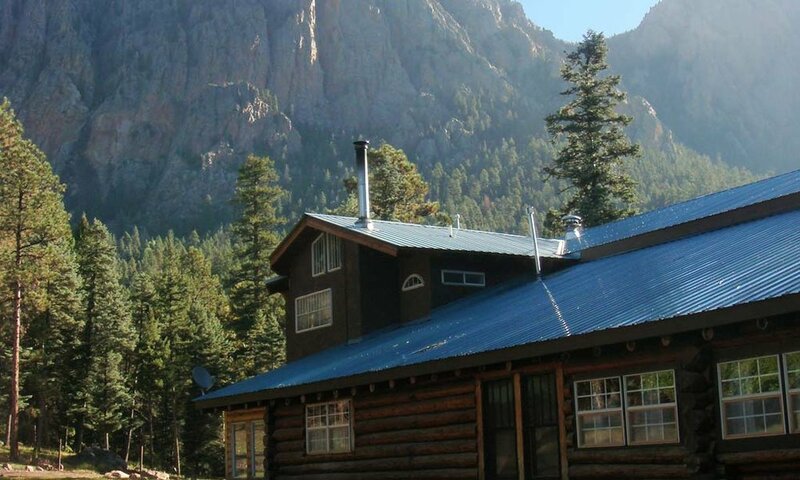 is a popular gathering spot for groups renting several cabins. with 2 double-beds and 1 twin bed is between the living room and kitchen. It can be closed off at night ,with curtains.